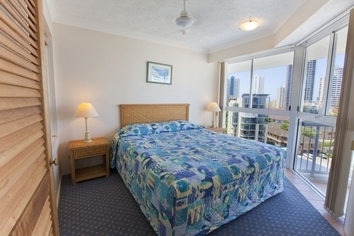 Welcome to Surf Parade Resort, located in the vibrant centre of Australia's renowned Gold Coast. 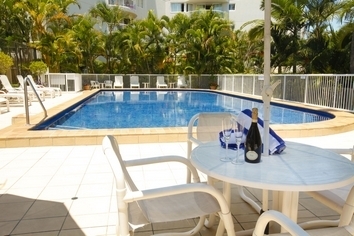 The superb one bedroom holiday apartments are perfect for couples and small families seeking top quality Broadbeach accommodation at affordable prices. 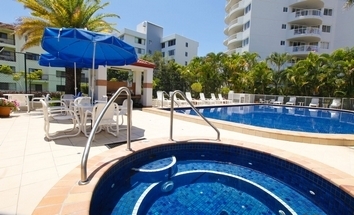 The resort offers 96 fully self-contained apartments, all equipped with an in-room, corner spa bath and large curved balconies. 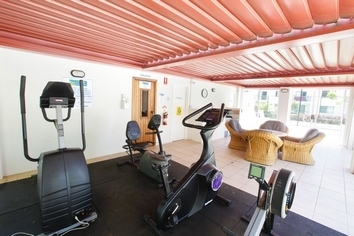 All the apartments have modern decor and fittings throughout, and the resort facilities ensure plenty of enjoyment and relaxation. 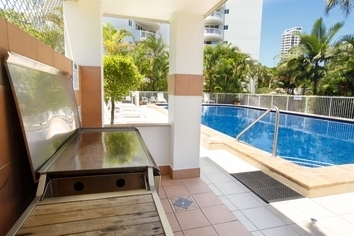 Patrolled beaches are just 200m from the door and the renowned international cuisines of the Broadbeach restaurant precinct are just a few minutes away. 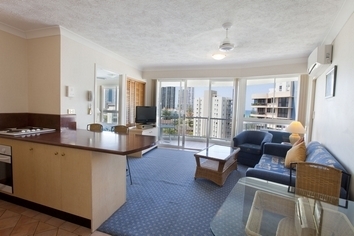 Shops, entertainment at Jupiters Casino and the Gold Coast Convention Centre are all close by. 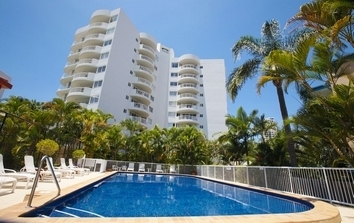 Surf Parade Resort has 96 one bedroom apartments in a 9 level complex located just 200 metres from magnificent Gold Coast beaches and just a few minutes from central Broadbeach. 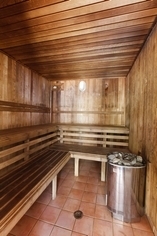 Guests need only provide foodstuffs and personal effects. 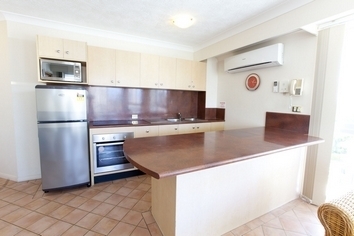 Their tastefully decorated apartment is fully self contained and provides all the inclusions of a home away from home. 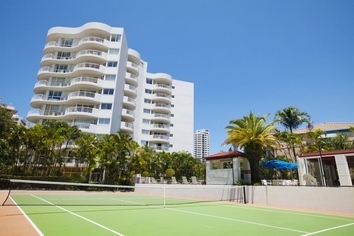 Located 1km north of Broadbeach and 2kms south of Surfers Paradise. 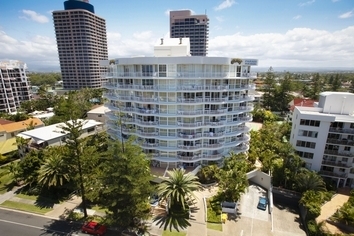 25 minutes north from Coolangatta and approx. 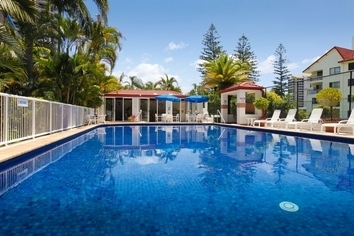 1 hour south of Brisbane domestic and international airports. By taxi, we are on the corner of Surf Parade and Wharf Road. Fully patrolled surf beach only 200 metres away. 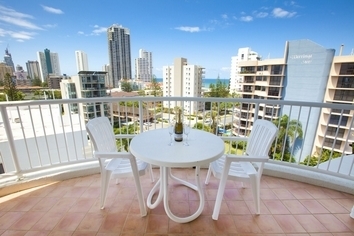 Wine and dine in the many local international restaurants and cafes. 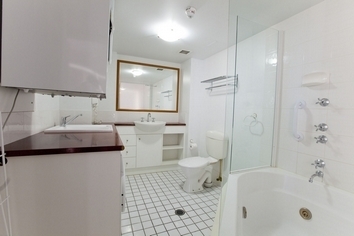 Visit one of the local theme parks - Dreamworld, Movieworld, Wet'n'Wild and Seaworld. Shop at Pacific Fair Shopping Centre or be entertained at Conrad Jupiter's Casino. Visit the beautiful hinterland rainforests. 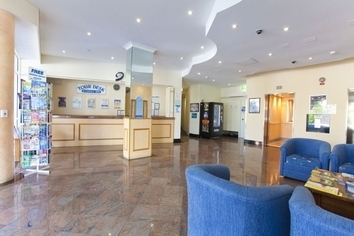 Our Tour Desk can arrange your transfers and tickets to any of the Attractions, Tours and Shows.